Handmade books, bound with the coptic and kettle stitch. 100% acid free paper suitable for pen, ink, pencil and watercolor. Each book is an original piece of art. Sandra Whiting has been a professional artist for over 25 years, working as a painter, printmaker and collage artist. Her work is currently shown in galleries in the Pacific Northwest. 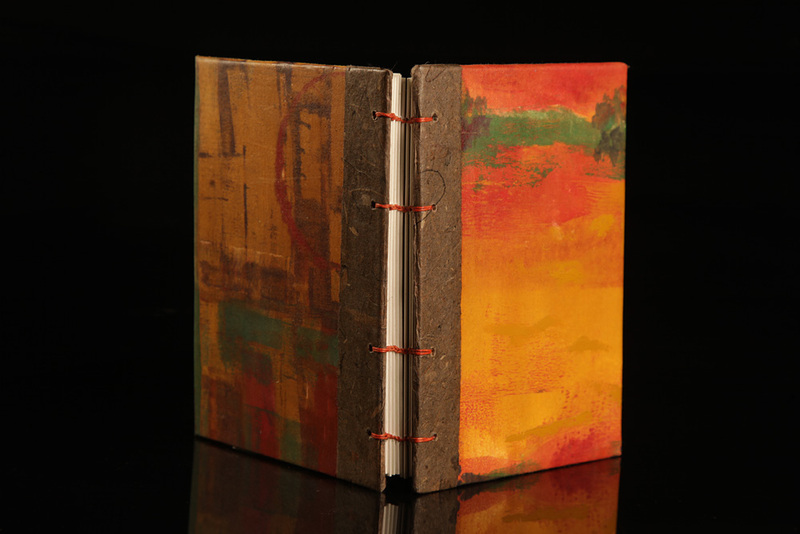 Creating handmade books was a natural transition from printmaking and collage. Sandra works with layered images, patterns, colors and textures to create her books. She doesn’t just make blank books. She carries her imagery inside the covers as well. 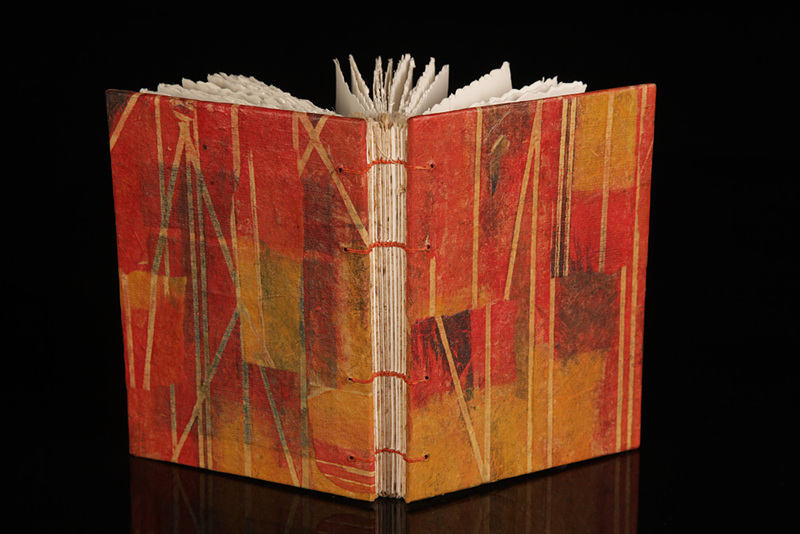 She incorporates monotypes, handmade paper, gel medium transfers, and drawings into her books. 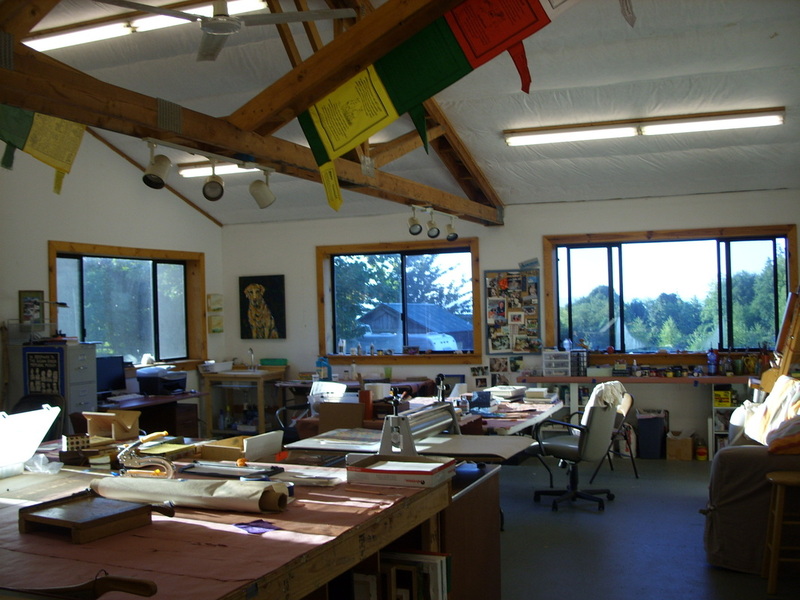 Sandra’s studio is located on a seven acre farm on Whidbey Island in Washington state. Michael Stadler Photography has photographed the books for this website. Sandra working on a plate for a monotype. 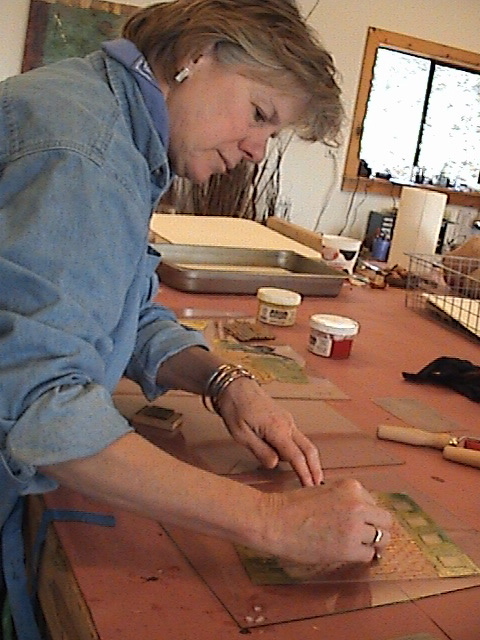 She uses a variety of inks and textures to create a unique surface for printing. These monotypes are then used for book covers in the bookmaking process.